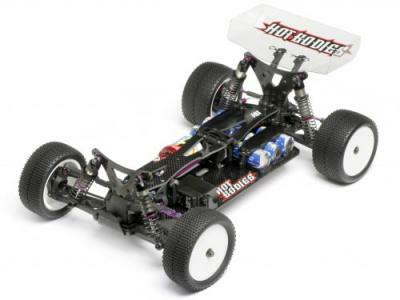 Red RC - RC Car News - Page 4164 of 4234 - Red RC - RC Car product news, views and race results. 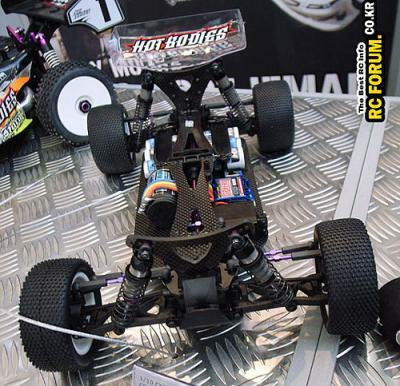 Quite a while back we wrote about the fact that that Hot Bodies were upgrading their Lightning 2 Pro 1/8th scale buggy and that team racers Andy Moore and Marc Rheinard were racing these prototype buggies at the Neo Invitational indoor event. Well we present you with the Lightning 2 Pro Evo, which is a natural development on the previous version with changes including new stiffer chassis plate, different shock towers for more tuning possibilities and a lot of other parts made more durable like bearing blocks and parts of the drive train. 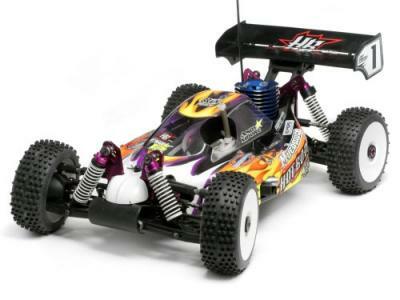 We may have only just brought you a selection of images of the new Cyclone D4 EP buggy from Hot Bodies but they have just put up the full information on their website along with even more pictures. 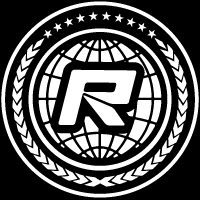 4WD electric buggy racing has always been a racing class that is seen as the off-road class for the elite, a tough-to-crack category of off-road racing which is difficult to master and features the fastest, best-handling off-road machines available! Hot Bodies is aiming to jump feet-first into this category with a top-level, championship-quality kit that anyone will be able to use. 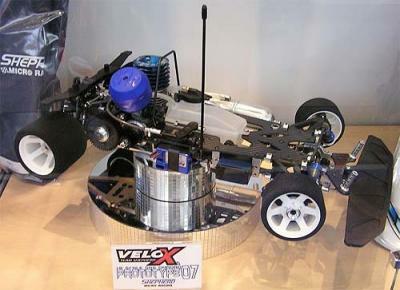 German manufacturer Shepherd are present at the toy fair and are showing off their new Velox 07 1/8th scale 4wd chassis (click image for bigger pic). From what we can see the rear end looks similar to the Speed that they currently have on the market, but the radio plate layout and front end looks completely new. This will be the first results of Shepherds hook up with Robert Pietsch that we announced 2 weeks ago. Team Losi have releaed this new range of fuels made in association with VP Racing fuels who are more used to created fuels for full scale drag racing vehicles. The fuel will be available in 20% and 30% nitro levels and are ready to buy in both gallon and quarter gallon tins. 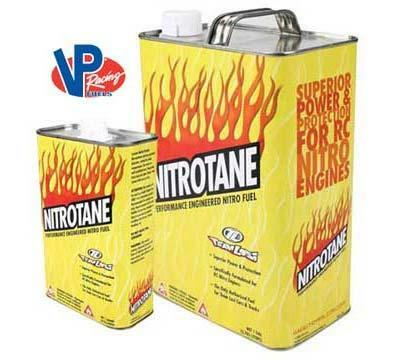 The premium ingredients in Nitrotane Race Formula offer a lower acidity level than most other nitro fuels on the market, ensuring that your engine will be fully protected against internal corrosion. And no other fuel can offer your nitro vehicle the same level of power and protection that goes into 300+ mph competition drag racers. The combination of VP Racingâ€™s quality and the nitro racing expertise of Team Losi means that Nitrotane Race Formula is ready to take you to the finish line, tank after tank. Xray, never one to hold back, have signed yet another big European name, Manuel Huber, to race their new Xray NT1 200mm gas touring car. The multiple Austrian champion and WC/EC finalist will join the Slovakian team with immediate effect and will line up alongside Groskamp, Christensen, Peracho, LeMieux, Burch and Baker to make a formidable team. The main reasons for my decision to move to Team XRAY are the independent self-production of every part of the car (the XRAY factory is really amazing! ), the possibility for quick changes to different parts, and of course the really great teamwork. After driving the NT1, I found it is much faster than the car I was used to racing. Again more pictures from our roving reporter, this time from the large and rather extravagent Xray booth were there was lots of eye candy to look at. 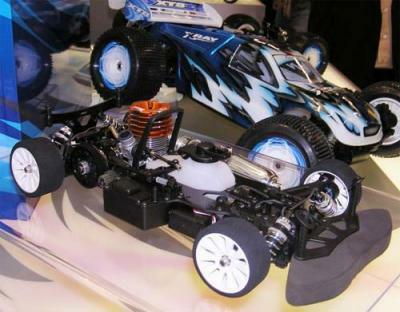 Of course Xray were the big news company at the show with the release of their NT1, XT8 and XB8-EC and so its only fitting that they have a huge gallery will all sorts of goodies on display for you to feast your eyes over including more close ups of the NT1 without motor and its new flex chassis. Our hard working show partners RC Junkies have gotten some great up close and personal shots of the all new Schumacher Mi3 that we showed you 2 days ago. 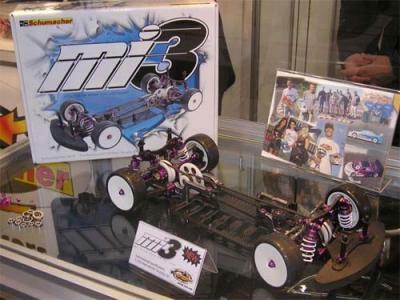 What more can be said what we dont already know, we get to see the new Mi3 box and it appears the car still looks great in real life and not just in photo studios.